Our FR Junior Development teams are designed for children 10-14 yrs of age and offer four (4) program options based on age, ability, and time commitment. Ages referenced are determined by skiers age on Dec. 31, 2018. All Freeride training occurs at Meadows Ski Area, but is dependent on snow and lift-operating conditions. Our ‘Devo Team’ program is our entry level program for ages 10-14 which starts with the FR Cooper Camp, Dec 28-30, and skis every Saturday, January through mid March. This program is designed for the child who skis the park and pipe, but wants further instruction on the basic skills and techniques that will enable them to become a more technically sound park skier. In the Devo program, focus is on fun and learning a progression of basic tricks that create confident and responsible riders. Development team members can participate in the Meadows’s Saturday night Rail Jams if they are interested, coaching will be provided. Requirements: Ski gear, helmet, season pass to Meadows. Mouth guards are strongly recommended. Every Saturday January through March 14. Fees Include: Christmas camp (3days) plus skiing each Saturday, January – mid- March at Meadows from 9am – 3pm. Our Training Team requires more commitment and is designed for the 10-14yrs old athlete who wants to take their skills to the next level and compete. The training team skis on both Saturdays and Sundays, starting in mid December. On-snow training focuses on all aspects of freeriding including slopestyle, halfpipe, and all-mountain freeriding skills. Riders are taught contest run design, competition strategies, and sportsmanship. Riders are encouraged to compete. Coaching will be provided at competitions. Riders are grouped with others of similar age and ability. Ski gear, race helmet, season pass to Mt. Hood Meadows, USASA Competitor License, register online at www.ussa.org. Mouth guards are strongly recommended. Fees Include: Cooper FR Camp (Dec 28-30), weekend training at Meadows, coaching at USASA competitions, including coaching at USASA Nationals, and a team hoodie. The FR Junior Competition Team is our highest level team in the Junior FR program. The Comp team is a goal-oriented program for motivated riders who want to train and compete for local, regional and national level competitions. The Competition FR Ski Team riders train with professional coaches to improve their freestyle riding while learning the fundamentals of freeride competition and all mountain skiing. On-snow training focuses on all aspects of freeriding including slopestyle, halfpipe, and all-mountain freeriding skills. Riders are taught contest run competition strategies, visualization skills, goal setting and sportsmanship. Coaching will be provided at competitions, Saturday, Sunday, Wednesday evenings, and on days Hood River schools are not in session (non-contract days, MLK day, President’s Day, etc). Riders are grouped with others of similar age and ability. Training days: Saturday and Sunday 9am-3pm, plus one Wednesday training night midweek, 4:30pm-7:30pm at Mt. Hood Meadows, some Hood River non-contract days depending on training and competition schedule. Night training will start in December 19th through mid March. Fees include: Saturday/Sunday/ Wednesday training at Meadows, coaching at USASA competitions including USASA Nationals, and Meadows’ Saturday Rail Jams, and team hoodies. A once a week Wednesday afternoon/evening training session for all level riders who are on the Devo Team. Riders will be grouped based on skill. Utilizing Fireweed Terrain Park coaching staff will provide personal focused feedback to improve each riders park riding and tricks. Van will pick up at Hood River Middle School at 3:10pm and China Gorge at 3:15pm. Training runs from 4:30pm-7:30pm. Van returns to Hood River around 8:30pm. Training days: Wednesday afternoon/evening 4:30pm-7:30pm. Starting December 19th, snow permitting. Athletes who wish to pursue fun and improvement in the park and in the gates can have the opportunity to learn freestyle skills through CSAT’s “Ride and Race” Team. Every Sunday, without Mitey Mite Council Races, racers will join the FR Training Team on Sunday to learn park and pipe skills in a safe and supervised environment. The goal of this program is to teach the essential ski racing skill set of body awareness, balance, and edge control through the fun of park and all-mountain skiing. Freeride Dryland Conditioning – FreeRide dryland utilizes trampoline and artificial ramp/ride infrastructure to improve aerial /body awareness and rail technique. Dryland will also include teaching riders core, back and stretching technique. Better physical tone, flexibility, and cardiovascular condition means greater resistance to injury while being able to ride harder and longer. Dryland conditioning, tramp, and drylslope training is strongly encouraged for Freeride Training Competition Team members age 10 and up who will be attempting inverted aerials this winter. Fall Dryland Conditioning will consists of a 1.5 hour training session every Wednesday and Friday, 4pm-5:30pm, starting October 17th, 2018. The weekly Wednesday and Friday afternoon dryland session will involve a half an hour of stomach, back and leg strengthening exercises followed by and hour of dry slope and trampoline training. A dry slope is essentially a ski ramp without snow. Athletes will work on jibs (rails and box) and trampoline maneuvers, with coaching staff conducting video review of ramp and trampoline maneuvers. The FreeRide team utilizes a Max Air Pro Super Tramp to work on air awareness and trick repetition. The 10′ x 12′ tramp is build into the ground and gives extreme sport athletes the surface area and flexibility needed to perform complex off- axis spins and flips without fear of falling off the sides as on a Olympic trampoline. Along with the tramp there are two dry ramps and an updated beginner dry ramp for those who want to learn to ride rails and boxes before the snow falls. Athletes are strongly encouraged to attend dry slope dry-land training, as it is a great way for athletes to get a jump on the season, ride rails prior to the ski area opening and it is really fun! After School Sessions: A once or twice a week, Wednesday and/or Friday, after school dryland session that focuses on core strength, flexibility, aerial and rail training. A 30 minute core & leg strength workout session will be followed by an hour of dry slope rail and trampoline practice. A dry slope is a ski ramp without snow that allows athletes to improve existing and try out new rail and box maneuvers. Where: 4326 Riordan Hill Drive, Lisa Stevenson’s farm. Bus from Hood River’s middle school can provide transportation to dryland. Bus drops off at house around 3:50PM. What to Bring: Tennis shoes, water, snack, workout clothes, boots/skis/poles, and helmet. Elbow/knee pads and mouth guard are recommended. Cost: $225 for 2 days a week. Joe Johnson comes to the Pacific Northwest from the cold lands of northern Minnesota, where he started skiing at age 6 and riding the park shortly thereafter. Joe has been competing in USASA sanctioned events since age 13 and moved to Breckenridge CO after high school to ski the Rockies and experience true mountain resort culture. 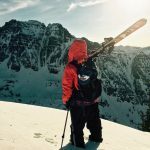 After exploring the Colorado’s many parks and mountains Joe returned to college in Minnesota and began coaching Freeride at his local ski area. He coached both the advanced and junior level freeride teams, where he later became the lead coach for the junior team. Joe has extensive experience in terrain park management where he was the terrain park manager for Spirit Mountain, in Duluth, MN. Here he got an in depth look at progression models of terrain, terrain park etiquette, and rider communication. Joe loves the freedom and creativity of freeride and is excited to share his passion of the sport with the next generation! When not skiing, Joe can always be found outdoors with friends and family enjoying many great activities such as hiking, mountain biking, camping, fishing, swimming and walking on the occasional slackline! Ryan spent his formative years skiing the sometimes-snowy, but more often icy mountains of New England. He focused primarily on competitive mogul skiing, but also racked up several starts at slopestyle, halfpipe, and rail jam competitions across the Northeast. Now-a-days he can mostly be found hunting powder and hot lapping the park, but will never hesitate to ski a good zipperline. Ryan began coaching freestyle skiing in 2011 for the Okemo Mountain Freestyle Team in Vermont. 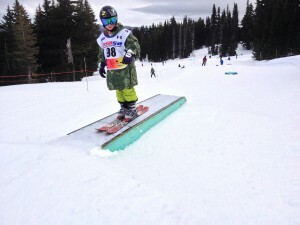 Here he assisted competitors of all ages in Moguls, halfpipe and slopestyle in both USSA and USASA sanctioned events. He moved to Oregon in 2018 to pursue his career while also chase snowflakes and adventuring. This will be his first full season coaching the Cooper Spur Race Team. He looks forward to working with all of the athletes to develop their skills on snow, on rails, and in the air. Eric was raised in the suburbs of Detroit, MI. He attended Northern Michigan University in the beautiful Upper Peninsula of Michigan. While attending college at Michigan State he ski instructed at the local ski hill. 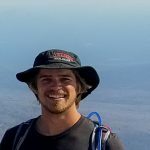 After graduating with a bachelor’s degree in Outdoor Recreation Leadership Management he made the move to Oregon in search of new adventures. He began teaching skiing at Mt. Hood Meadows where he was award 2010 Part-Time Instructor of the Year and Children’s Instructor of the Year in 2011. Eric than began taking his skill and passion for teaching into the realm of freestyle. Erick is a PSIA Level 3 FreeRide Specialist and a PSIA Level 2 Child Specialist. 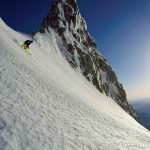 Eric has applied his years of ski-instruction knowledge to break down freestyle movements into multi-step progressions perfect for freeriders of all ages. Every fall CSAT holds a Parent Informational Meeting for the FreeRide program (Competition, Training and Development Teams). This meeting is for the parents of all Freeride participants, including Race and Ride program athletes. We strongly encourage all parents to attend, as getting everyone on the same page is essential for a safe and successful year . The FreeRide Head Coach and Program Director will outline mountain rules and safety protocols, freestyle progressions, competition schedules, parent and athlete code of conduct, training schedules, communication protocol, as well as answer any questions. The 2018/19 FreeRide parent meeting will be held on Tuesday November 12th. at 6PM. The meeting location TBA. A light pair of twin-tip skis are recommended for this program, as we will be skiing primarily in the park. It is nice to have the edges underfoot detuned and dulled for athletes planning on jibing and sliding rails. Ski lengths should be between eyebrow and forehead height. A narrower park width is also recommended as it will make for an easier spinning and jumping ski for park skiing. Largely because our athletes weigh less due to their age, friction plays a greater role, hence waxing and maintaining your athletes skis throughout the season is important and highly recommended. If you have any questions on skis or purchasing skis, please contact the coaching staff. A softer flexing boot is recommended for athletes and will be more effective than a stiffer boot for park skiing. To determine if a boot is soft enough for your child, they should be able to aggressively flex the boot. A boot thats too stiff or on the stiffer side is no fun to jump in as it leads to shin bang. As far as fit, boots should fit properly, tight but not uncomfortable. Remember the boots might feel too tight at first but will break in within a couple of ski days. Buying boots oversized is counter productive for both performance and fit.Buy boots that fit properly and check with your coaches if you have any questions about your child’s equipment. Bindings, good fitting boots and appropriate clothing are the most important pieces of equipment. Bindings must be currently approved, and DIN rated for your athletes ability. It is very important if you are training at night that you wear goggles with a clear lens. Dark lenses or goggles meant for daytime skiing are not effective at night and can not only hinder training but can even make it dangerous when skiing if they cannot see properly. Night training is often colder, so remember to wear extra layers at night. All of these things will make for a more enjoyable skiing experience. Clothing should include water resistant gloves or mittens (an extra pair is nice for those wet days), race helmet and goggles. A good water repellent ski jacket is necessary in this climate (consider a CSRT “Team” jacket) having rain gear on hand at training can also come in handy.. We ski in all weather conditions, so dress appropriately.